It would by my honor to have the opportunity to make an in-home Listing Presentation to you. It is an industry norm for an agent to present their credentials, marketing plan and current market data to a perspective seller to earn their trust, respect, confidence and willingness to do business together. This presentation is offered by me, with no obligation, no expectations, completely free of charge. 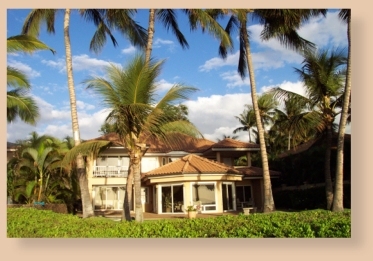 In this presentation you will learn how I am professionally qualified and what I intend to do to meet your objectives, how you will participate and facilitate in the sale of your property, the current market conditions that are specifically relevant to your property, the Hawaii legal statutes that require you to perform and offer certain inspections and disclosures, and how to prepare for the process of marketing and selling your property. I can also refer you to a highly reputable, top real estate expert in the area you intend to move to or purchase future property in. The extensive upper level educational classes and seminars which I have participated in across the USA have offered me an opportunity to network, query, and discern whom I can entrust my clients fiduciary well being to, to accomplish their goals outside of my immediate geographic area and area of market knowledge. For detailed insight and an overview of what my In Home Presentation entails, please read thru my For Seller’s; Why Seller’s Choose Me web page. I look forward to you contacting me and beginning our successful relationship.